ISLAMABAD: While the Supreme Court of Pakistan has fixed the matter of alleged fake degree of DG National Accountability Bureau (NAB) Lahore Major (retd) Shahzad Saleem for second January 2019, interesting facts have emerged about the attestation of his dubious degree by the Higher Education Commission (HEC). The commission, which was strongly contesting against illegal campuses of now-banned Al-Khair University until April 2018, took a u-turn on 31st August, and with one stroke of pen, allowed recognition of over 75,000 degrees of Al-Khair University, including those obtained from illegal campuses in back dates. The DG NAB Lahore was the beneficiary of this controversial HEC decision, which is not only contrary to verdicts of the Peshawar High Court and Islamabad High Court (IHC) but also a sharp deviation fromthe HEC’s own previous position on degrees from illegal campuses of Al-Khair. According to his own claim, the DG NAB Lahore Shahzad Saleem obtained his MSc Computer Science in 2002 from Islamabad campus of the Al-Khair University, which is declared illegal as per the HEC rules. The campus was an illegal diploma mill notorious for selling degrees for money as per the HEC’s own claims submitted in higher courts and the I-9 police station through a First Information Report (FIR), a copy of which is available with The News. In April, 2018, this HEC stance was reiterated by its legal counsel and Assistant Attorney General Tariq Mansoor, who told the Peshwar High Court (PHC) that the degree of Shazad Saleem had no legal value as it was obtained allegedly through an illegal campus of Al-Khair University in Islamabad. While talking to The News and Geo on camera recently, the assistant attorney general maintained the stance that the degree of DG NAB was bogus as it was obtained from an illegal campus. He said the degree was attested in 2015 by HEC inadvertently as it was not clear from which campus the NAB officer had obtained the degree. However, when the controversy surrounding DG NAB’s degree heated up, the HEC took a sharp u-turn and announced a new policy on August 31, 2018, which gave blanket amnesty to all Al-Khair degrees obtained before 2009. The commission claimed that the amnesty was given “to alleviate wide discrepancies around degrees awarded by the Al-Khair University.” The decision would benefit 75,894 “graduates” of Al-Khair University, says the announcement. 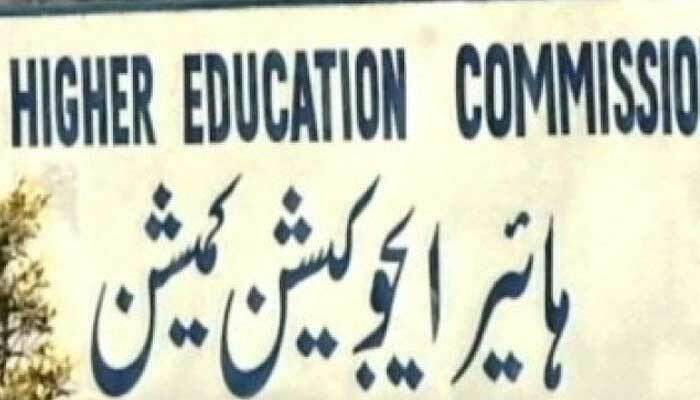 A senior HEC official involved in drafting the new policy admitted that some potential fake degrees which were bought over-the-counter from illegal campuses may also get attested under the scheme but the “decision was taken for overall benefit of the students” as it was not possible for the HEC to go back too far to check the real credentials of such degree holders. However, when contacted by The News, HEC spokesperson Ayesha Ikram said the degrees from all campuses of Al-Khair obtained prior to 2009 were recognised. She said the HEC would attest such degrees after fulfilling “codal formalities”. However, upon checking it was revealed that the “codal formalities” did not include the detailed mark sheets, answer sheets or dissertations of the students who purportedly studied on illegal campuses of Al-Khair. Despite the absence of this data, the Al-Khair claims were accepted for all 75,894 “graduates” by the HEC. 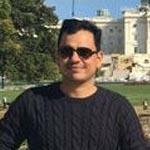 To a specific question, the HEC spokesperson confirmed that the commission has attested the MSC Computer Science degree, Session 2000-2002 of Maj (R) Saleem Shahzad, in October 2015. Strangely, in case of NAB DG, the law applied retrospectively as his degree was attested before the amnesty was announced for other illegal campuses in August 2018. Ayesha Ikram refused to comment on the question when asked “What was the legal position of Al-Khair campuses outside AJK before 2009? Were they recognised by the UGC and HEC? However, the HEC amnesty scheme appears to be contrary to the judgements of Islamabad and Peshawar High Courts. In his verdict dated March 20, 2018, the current Chief Justice of the Peshawar High Court, Justice Waqar Ahmad Seth, had declared that “the main campus of the University of Al-Khair , which is at Bhimber in AJ & K, is the only campus which verifies and recognise, the degrees/ diplomas/ certificates for the purpose of getting jobs in Pakistan.” The court categorically stated that all degrees issued by the university’s affiliated campuses and institutions in Khyber Pakhtunkhwa were illegal. “In view of the above, it is held that the degrees, diplomas and certificates obtained from the Al-Khair University, AJ&K Campuses and affiliated institutions at Khyber Pakhtunkhwa are illegal, unverified and unrecognised and as such the same are not valid for the purpose of seeking employment in any of the government department/ institution,” Justice Waqar Ahmad wrote. In the same verdict Justice Waqar Ahmad Seth clearly held that Al-Khair University had committed an offence of cheating public at large which is punishable under NAB Ordinance. However, till today NAB has failed to take any action against the university which has issued degrees to its own powerful officer. “Before parting with the judgement, it is also observed that the lawful competent authorities have not performed their duties in accordance with the law and due to their negligence the respondent No 7 (Al-Khair University) has committed the offence of cheating the public at large as defined under Section-9 (IX) of the National Accountability Ordinance, 1999,” says the verdict of the PHC. Similarly, the current Chief Justice of the Islamabad High Court (IHC), Justice Athar Minallah, in his order dated 22.6.2017 in Writ Petition No2523/2016 had also held that “A degree issued by an unrecognised educational institution is worthless piece of paper as has been held by the august Supreme Court in the case of the Haji Nasir Mehmood (Supra). Interestingly, HEC’s amnesty scheme was also contrary to its own previous stance. In May 2018, a statement issued after the 18th meeting of the HEC maintained, “Al-Khair University with the charter issued by the government of AJK, was not legally authorised to open any campus, grant affiliation or have franchise in any area of Pakistan.” Now the question is what has changed between May and August 2018 which forced the HEC to recognise thousands of dubious degrees from illegal campuses of Al-Khair? According to record available with The News, the current Lahore NAB DG, Shahzad Saleem, also obtained third division in his BSc examinations held at Pakistan Military Academy Kakul in 1988. According to his detailed marks certificates Cader Shahzad Saleem of 78 PMA Long Course obtained 292 marks out of 700 marks. The cadet scored only 26 Marks out of 100 in additional subjects of “Arabic and Islamic Studies” & “National and International Affairs”. He scored 86 out of 200 in Physics and 98 out of 200 in Mathematics according to the transcript. While contacted by The News, NAB Lahore spokesman Mr Zeeshan refused to comment on the BSc mark-sheet of the DG. Shahzad got permanent induction in NAB by method of appointment by transfer, w.e.f in 2003 as Deputy Director HQ (BS-18) through a notification No. 3(40)/R/2002/ Admn-1 dated 29th September 2003. Within three months of his permanent induction as Deputy Director (BS-18), NAB he got promotion through Notification No. 7-7(12)/HQ/2003/Admn-I dated 31-12-2003 and became Additional Director (BS-19). After declaring his MSc degree in 2003, Shahzad never placed it on record despite letter dated 8.03.2011 of Establishment Division to all concerned asking for verification of degrees of officers working in BS-17 to BS-22. That degree saw the light of the day only recently when it had become highly controversial. When contacted by The News previously, Shahzad said his MSc degree was legitimate and duly attested by the HEC. He said the degree was obtained from the Islamabad Campus of Al-Khair University (AJ & K) and he attended the evening classes at the campus between 2000 to 2002. It is learned that Islamabad campus was illegal in 2002, but an officer of NAB opted to “study” in illegal campuses instead of choosing numerous legal colleges in Islamabad and Rawalpindi. He shared the degree with this correspondent which had been attested by the HEC Regional Officer, Peshawar, on 20th October, 2015. It is worth mentioning that the computer Science degree is awarded on the basis of two years physical attendance of the college and credit hours for which the DG never took a leave from the office, rather he remained on duty on daily basis in that period.